I am currently using NPOI to generate Excel files based on a database from my asp.net mvc app. I'm almost done with the code, except one small issue which I keep getting when when trying to write Dates to Excel. this is just a sample of my code (the piece which is doing the date writing part). 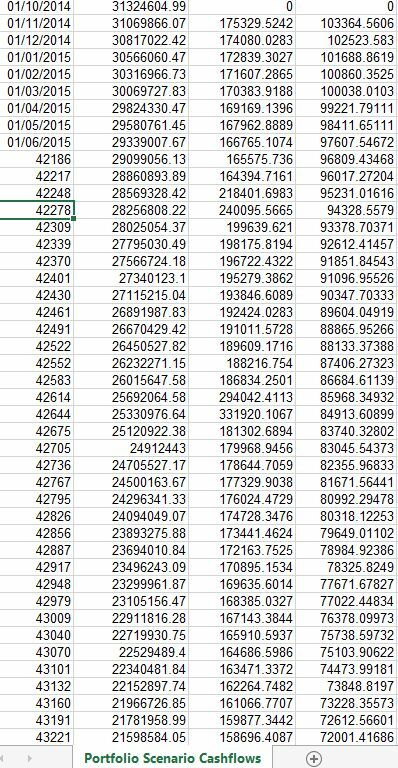 The issue with this piece of code is that only part of the date cells are actually formatted as a date, for all the others I still see the values as in the database 41883, 41913 etc which of course I can select and apply Short Date/Date formatting from Excel (but I don't want that). Could anyone let me know why such a behavior could appear (formatting works only for part of the cells)... I even tried to use the HSSFDataFormat.GetBuiltinFormat("Date") but none of the cells were formatted in that case. Not the answer you're looking for? Browse other questions tagged c# asp.net-mvc excel npoi hssf or ask your own question. How to read the selected drop down list value from a cell in an Excel file using NPOI?